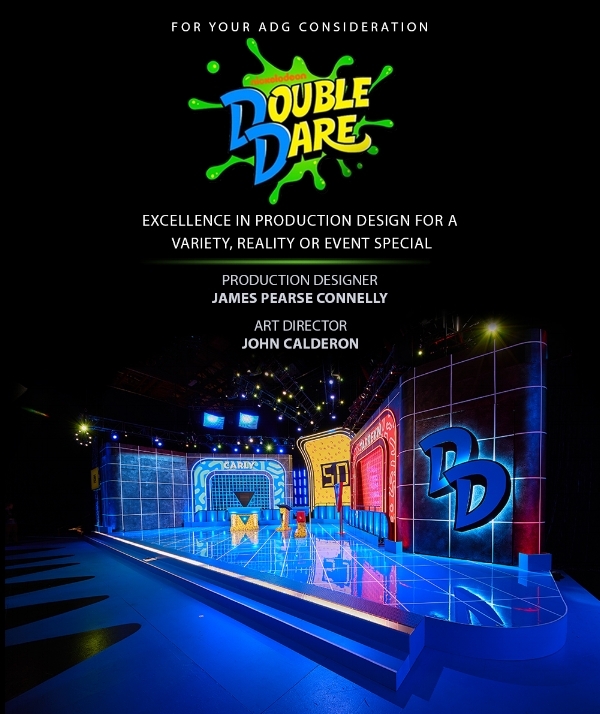 Double Dare - Nickelodeon's classic 90's game show for kids - created an iconic visual vocabulary that was quintessential 90's. It was colorful, graphic, stylish (yet a bit messy on purpose). With the return of this legendary show, we pushed the iconic design and vocabulary into the new millennium. While still invested in the ironic, irreverent vibe, we've updated the look with more integrated technology, neon lighting and slicker materials.